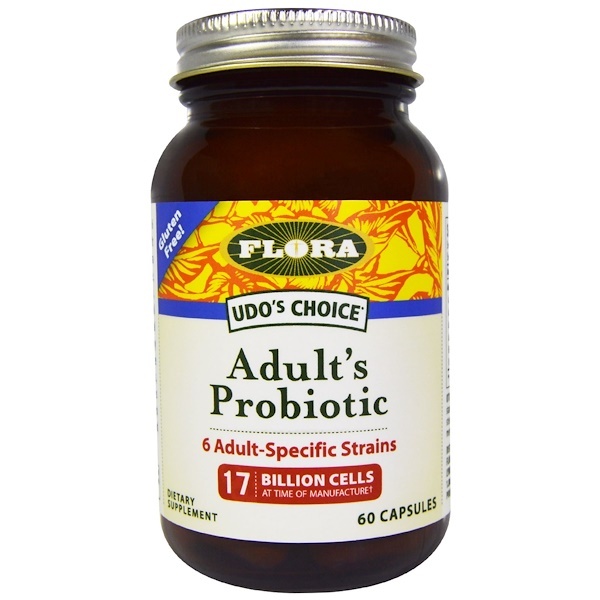 Adult's Probiotic includes 6 strains of beneficial bacteria. 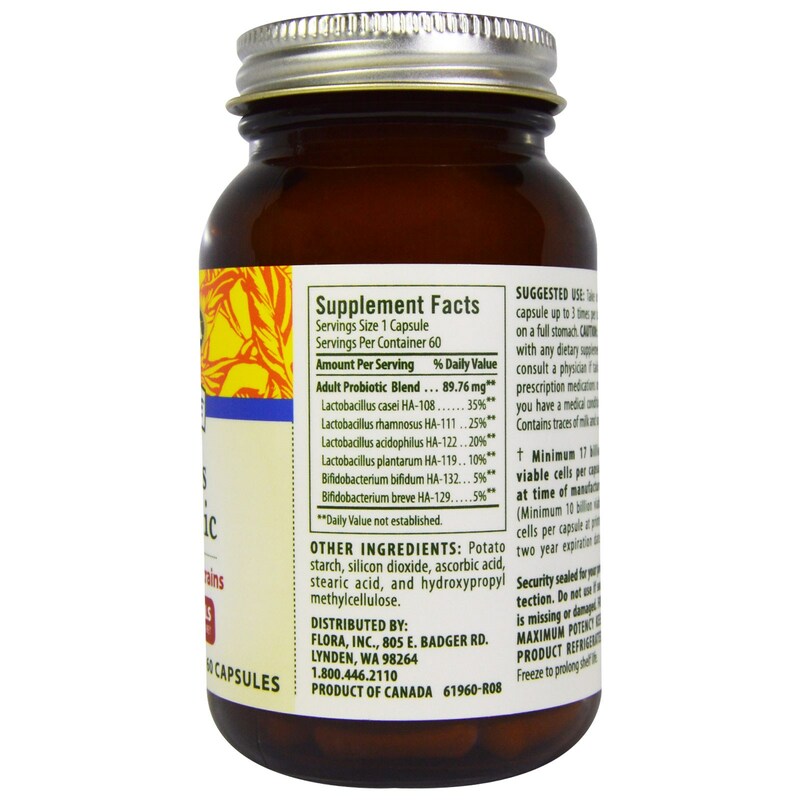 It helps support healthy microflora in the small and large intestine, promotes proper digestion, provides relief from occasional intestinal discomfort, and is ideal for travelers to maintain healthy flora while away from home. Since probiotics are living organisms, their potency slowly decreases over time (2% per month). Caution: As with any dietary supplement, consult a physician if taking prescription medications or if you have a medical condition. Contains traces of milk and soy.